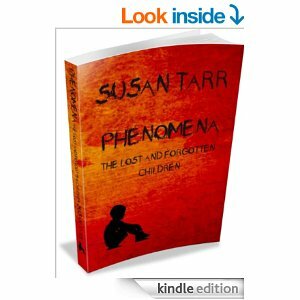 I just finished Susan Tarr’s novel Phenomena: the Lost and Forgotten Children.It isn’t many novels that bring me to tears as this one did. It will stay with me for some time, I imagine. You hear about the washing girl’s stories of mistreatment as they had their illegitimate babies in Ireland, but Malcolm’s plight, and his story, and the stories about the other inmates in this New Zealand insane asylum were gripping and different. This is indeed a Phenomena that I have never heard of in the world before. The “in and out” quality of Malcolm’s stories reflects the type of treatment he received that would rob him of his memory. He worked and worked each time to reclaim his memories and recall the stories he heard, reconciling them to stories he heard as he grew older. The past and present intertwined to make a beautiful basket of poignant memories. “Confusion muddled his thoughts with roiling patterns. And the wild sea at the bottom of the cliffs had never looked so inviting. His mind turned to Julie who existed only in darkness. She told him her parents had disappeared while she was spending a day with her grandmother. Tea was eaten, it was night time, and still they never came for her. Her grandmother continued to care for her. It was years later when blind Julie was found by the neighbors, along with her dead grandmother. This story is a string of stories about the people at the “hospital” and surrounding buildings, some buildings like prisons for the more severe cases and some buildings were pleasant, half-way houses surrounded by gardens. These were reserved for those getting ready to transfer into a more normal life. The saddest story was how Malcolm came to be at Seacliff Mental Hospital in the first place. Wow! I know horrible things happen but it’s hard to believe a parent would do this to their own child. Despite his bitterly sad history, Malcolm became a kind-hearted, upbeat man with a hope-filled future as a “regular” person.